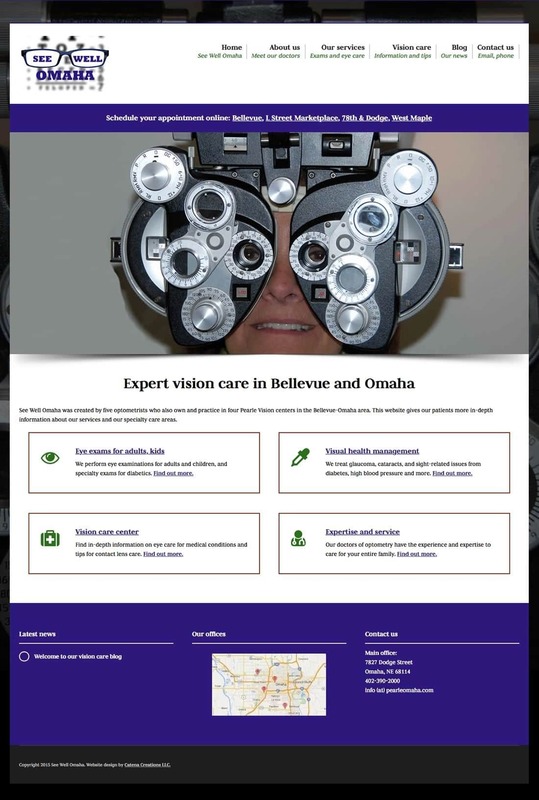 See Well Omaha was created when the optometrists at Pearle Vision in Bellevue and Omaha asked for an enhanced website that would give them more options than their corporate site offered. They wanted a place to post detailed information for patients, bios for their staff, and broader descriptions of their services and expertise. Catena Creations built the site in WordPress, wrote the text, took photos, and started a blog for the group. We also designed the logo for the site.